E-commerce marketplace Snapdeal is in talks with its investor Softbank Group to raise fresh funds at a lower valuation. The e-commerce firm had raised its last funding round at a valuation of $6.5 billion, a report by Mint newspaper said on Wednesday, citing unnamed sources. Snapdeal and SoftBank have already held discussions with valuation ranging between $3 billion and $4 billion, the report added. Meanwhile, the company is also trying to draw in new investors to put in funds at a higher valuation. 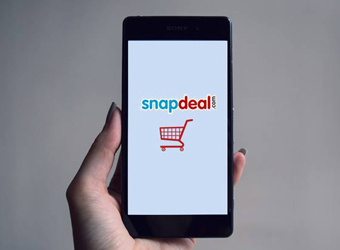 "We are well capitalised and not engaged in any active financing discussions," a Snapdeal spokesperson said in response to an email query sent by TechCircle. Snapdeal, run by Jasper Infotech Pvt. Ltd., suffered a devaluation when SoftBank marked down its investment in the company in November last year. At its peak, Snapdeal was valued at around $6.5-7 billion, when it raised $200 million from Canada-based Ontario Teachers' Pension Plan and other investors in February 2016. Over the past few months, there have been several reports around Snapdeal's efforts to raise funds for its digital payments arm, FreeCharge, which it acquired in 2015. It also held preliminary talks with its two bigger rivals, Flipkart and Amazon, to explore a merger. However, Snapdeal denied this. The e-tailer had more than doubled its losses to Rs 2,960 crore (around $436 million) in the financial year ended 31 March 2016. FreeCharge had clocked losses of Rs 270 crore, while its logistics firm Vulcan Express netted losses of Rs 20 crore. Snapdeal had been working towards reducing ballooning operational costs to check widening losses. The company tweaked its business model by setting up a wholesale unit, E-Agility Solutions Pvt Ltd, to fund vendors and bring on board fashion brands that sell directly to e-commerce firms. The e-commerce marketplace went through a top-level reorganisation, with each category business unit now having four broad work streams: portfolio management, key accounts management, brand alliances management and products life-cycle management.